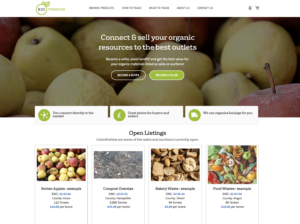 As part of the drive to increase the circular economy, global resource management company Veolia is launching an online trading platform that makes it easier to sell and buy organic resources. Designed to save users time and money, BioTrading will provide businesses the opportunity to better leverage the 100 million tonnes of raw materials and biofuels we produce every year. The service is aimed at anyone who has resources, or requires them, such as farming, water, construction, food and drink, anaerobic digestion, and the biodiesel and bioethanol industry. A wide range of resources will be made available on the website including food waste, food for redistribution, industrial organic by-products, agricultural wastes, biodiesel and bioethanol residues, sewage and industrial sludge and wood. To ease logistics, buyers can also make use of compliant haulage services if required.